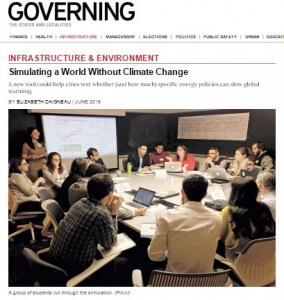 A World Energy simulation has been covered by Governing Magazine. Thanks to Steve Kaagan, one of our very active World Climate Ambassadors, the event was a great success. By contacting the magazine before leading the simulation, Steve made sure the tremendous opportunities offered by this tool to local and state leaders were heard.